We are currently unable to provide Travel Plans adjusted with real-time data. 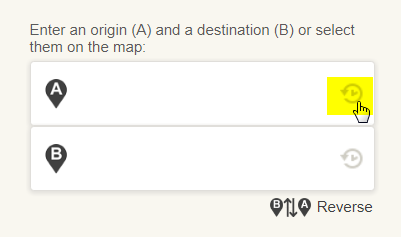 Tip: If you have entered your destination in place of your origin, or if you would like to generate a return trip quickly, you can reverse the order of your entries. 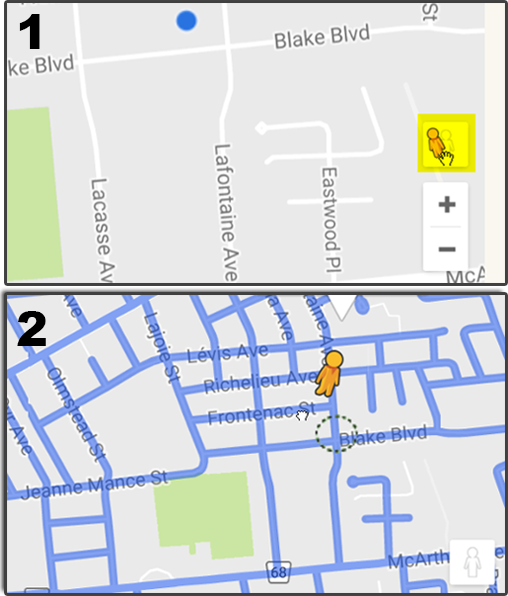 The street types and landmark names are taken directly from the Google Maps database. 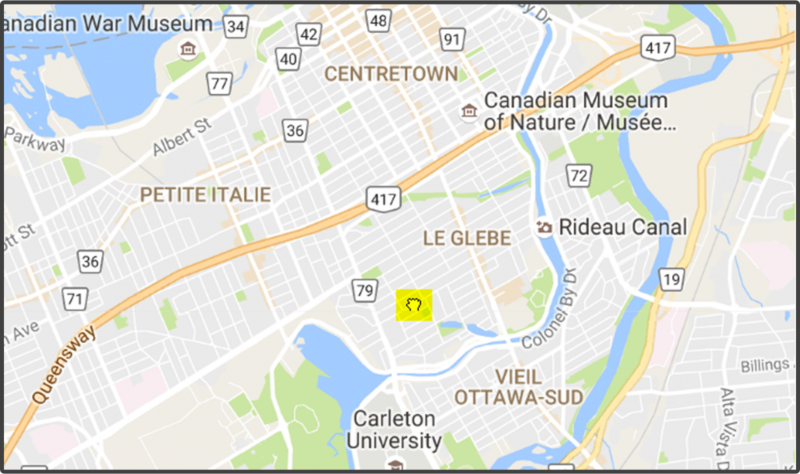 They are entered in the language most spoken in the area where they are located, that is in English for Ontario addresses and in French for Quebec addresses. If you have enabled GPS on your mobile device, you can set your origin or destination to your current location. 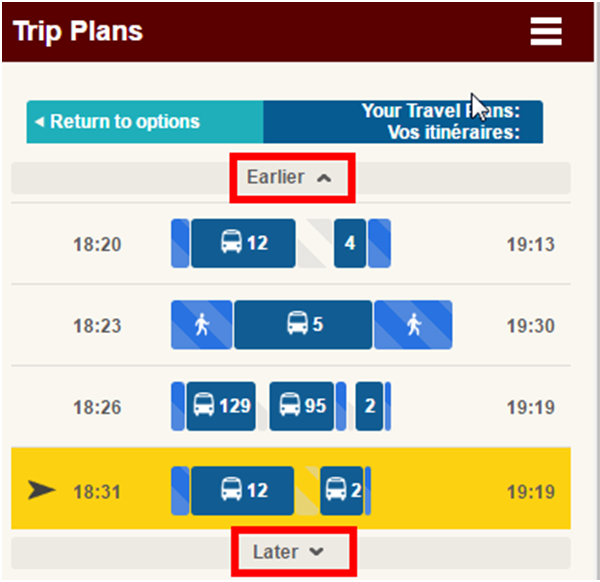 If you have previously created a travel plan using a destination or an origin, you can click the history icon (round arrow with a clock dial) to select it without looking it up again. In order to save your history, you need to allow cookies and not be in a “private” or “incognito” window. Times use the 24-hour clock format as opposed to “a.m.” and “p.m.” times. Enter 00:00 for midnight and 12:00 for noon. You can plan for your trip to begin at a specific time (Depart At) or to reach your destination for a specific time (Arrive at). By default, the trip time is set to “Depart At”. 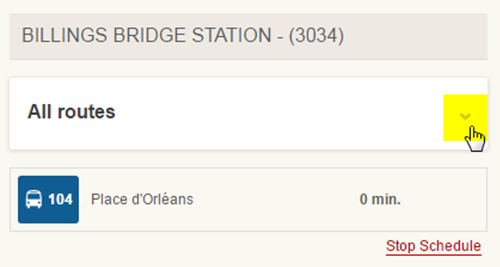 Use the drop down menus next to the hour and minutes figures to choose the time of day for your trip. When you generate a travel plan, you will be given many trip options. 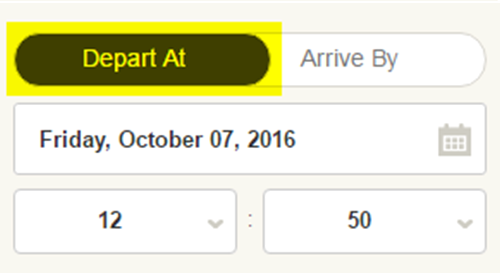 The default trip plan (highlighted in yellow) is best option for most customers. To choose an option other than the default, click on the corresponding row. Default or selected trip plan option. 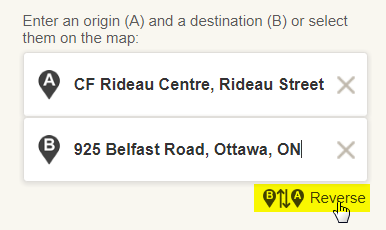 The yellow highlight and arrow means this is the trip described below. The time next to the arrow is the trip’s start time. Transit route segment. The Route number is clearly indicated in the schematic. The width of the band represents the relative time aboard the bus. Transfer or layover time. 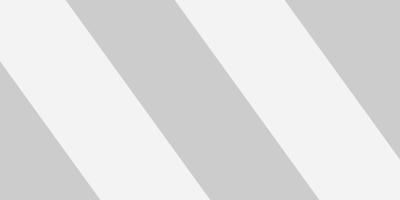 The width of the band represents the relative time waiting to transfer between routes. Trip start/Arrival times. The time on the left is the start time of your trip. (When you leave your origin), while the time on the right is the time you should reach your destination under normal traffic conditions. Your Travel Plan is available in a printer-friendly version. Simply click on the printer icon on the top right corner of the plan description. 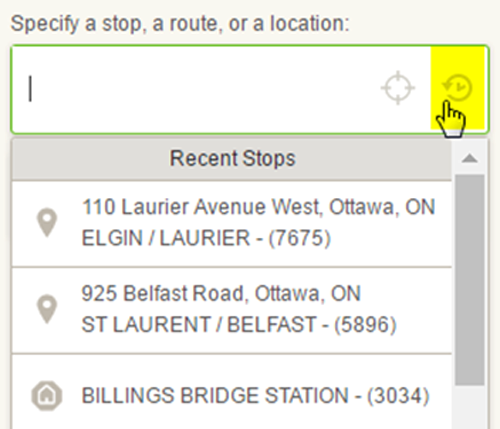 You can check earlier and later trip options by clicking the buttons above and below your trip plan results. 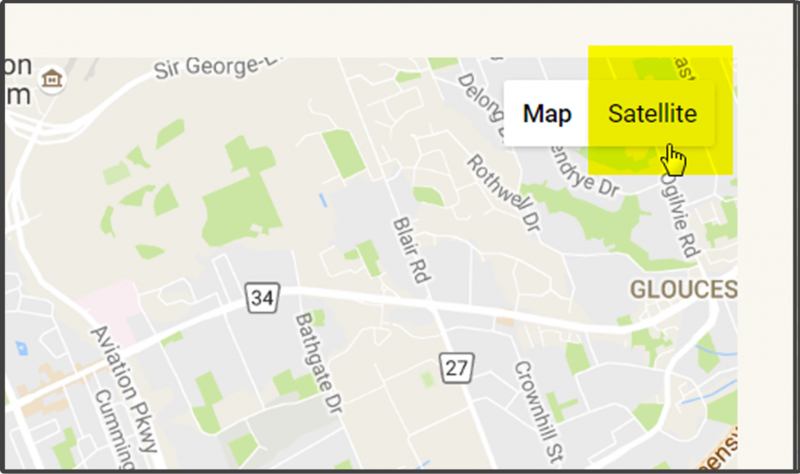 For easier navigation, you can expand the map to take up your entire screen by clicking the red icon with two arrows. 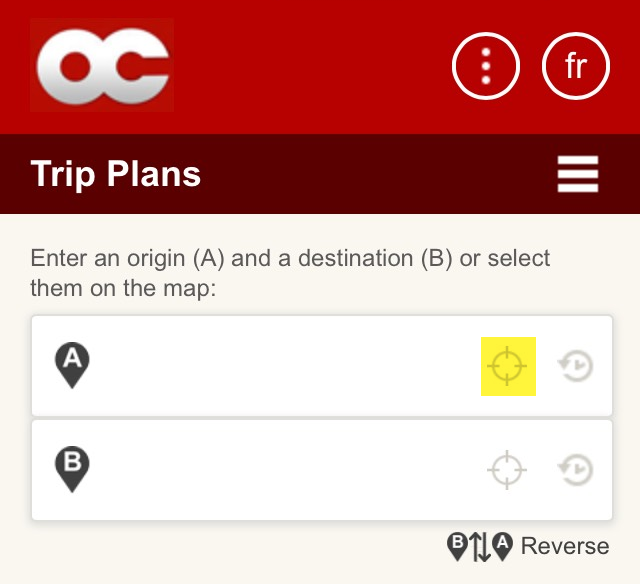 To return to the Travel planner interface, click the icon again. You can view an area’s satellite images by clicking the “Satellite” button. This will only change the presentation and not the functionality of the map. Schedules vary day-by-day depending on daily ridership (weekdays, Saturdays or Sundays) and planned events. You need to specify the day to get an accurate schedule. Today’s date is already entered by for you. 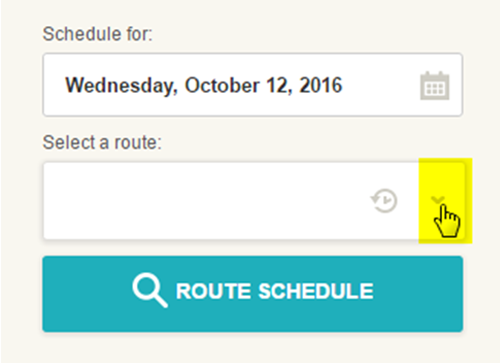 If you would like a route schedule for another day, use the calendar to pick the date. 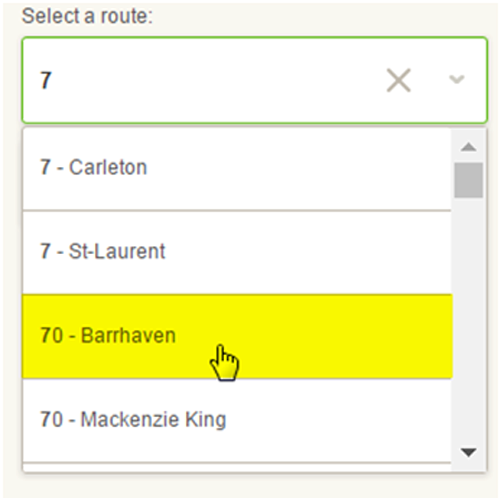 To choose the route for your schedule, start typing your route number in the “Select a route:” box, then click on the suggestion with the desired route number and direction (see example below). 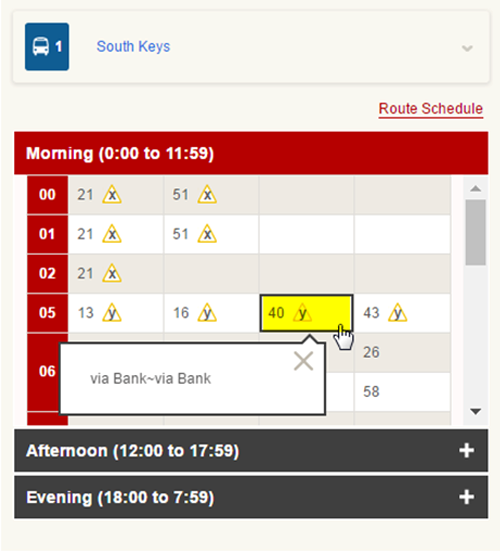 Only routes scheduled to run on the selected day appear in the list of suggested routes. 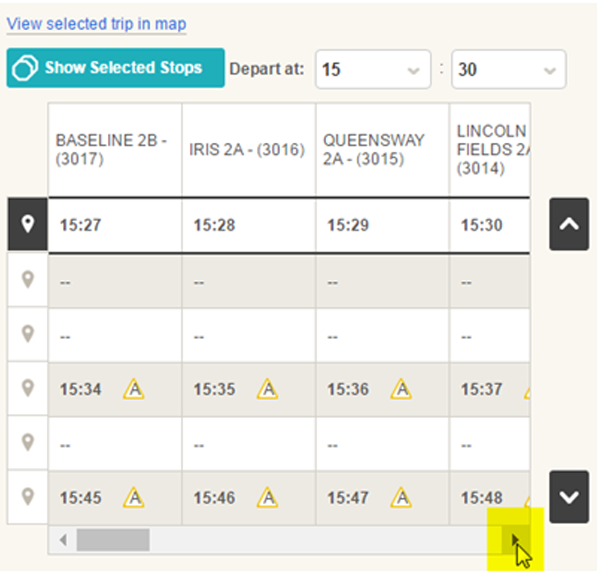 Once you look up a route’s timetable, the route number and direction are saved in your history and can be called up quickly by clicking the history icon. In order to save your history, you need to allow cookies and make sure you are not in a “private” or “incognito” window. 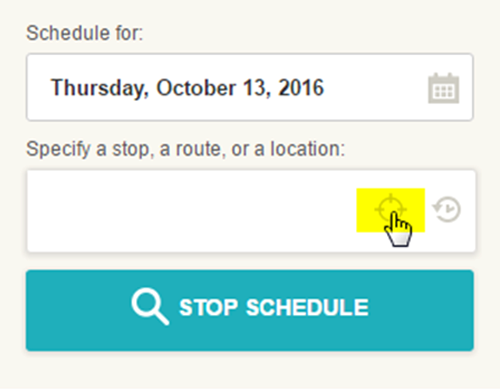 When you have set the date and chosen a route, click on to generate your schedule. Departures are based on scheduled times. The Travel Planner is currently unable to give departure times adjusted with real-time (GPS) data. 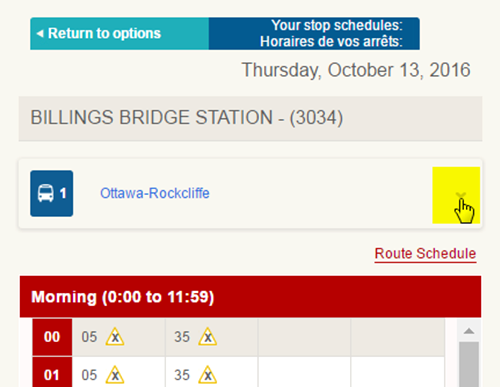 For real-time departures, please text your stop number to 560560, call 613-560-1000 or download a transit app. 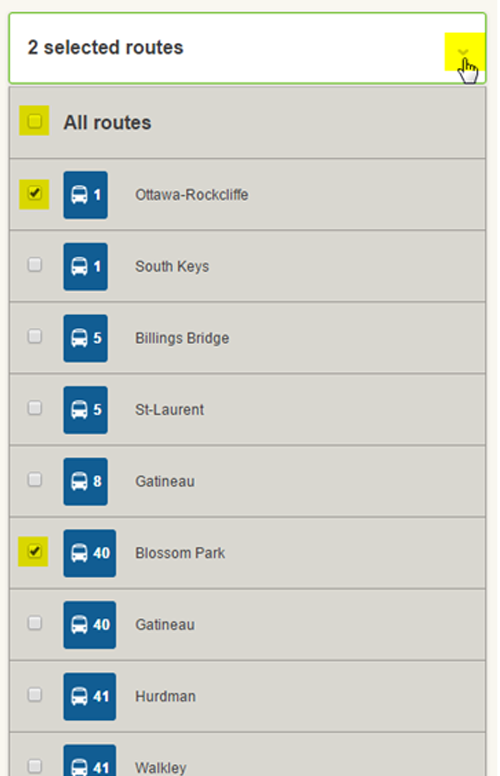 By default, every stop served by a route will be included in the schedule. 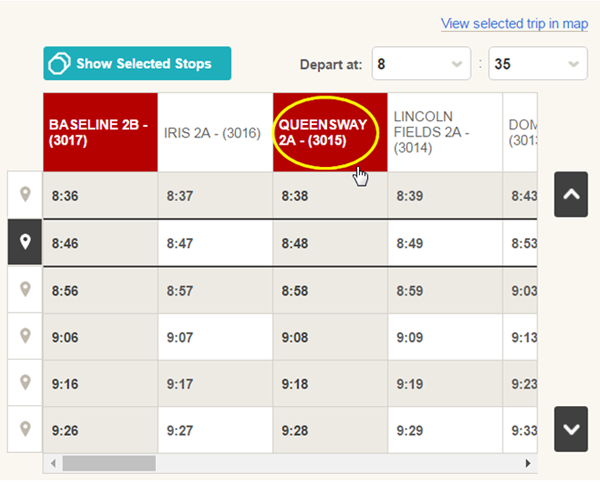 Because most routes serve too many stops to fit on the screen (or to print – but you can Create a custom printable schedule), you will need to scroll right to display the passing times at later stops. Select the trip you would like to show on map. 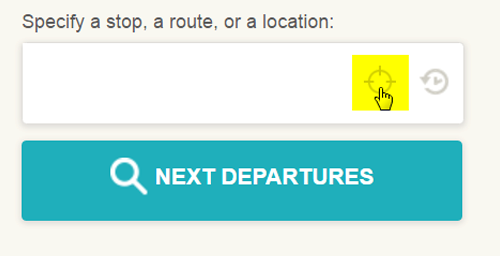 Once you have chosen your trip, click “View selected trip in map” above the schedule. 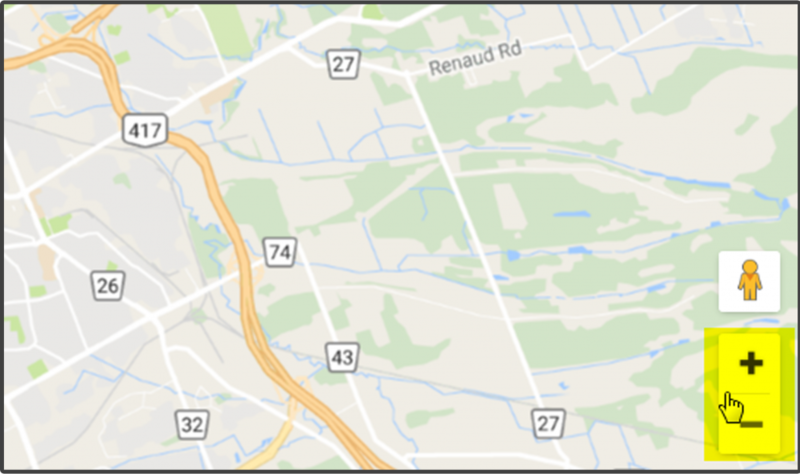 Click to view a service notice related to a stop or trip. This may be a trip-specific destination, a routing detour or a caution order. 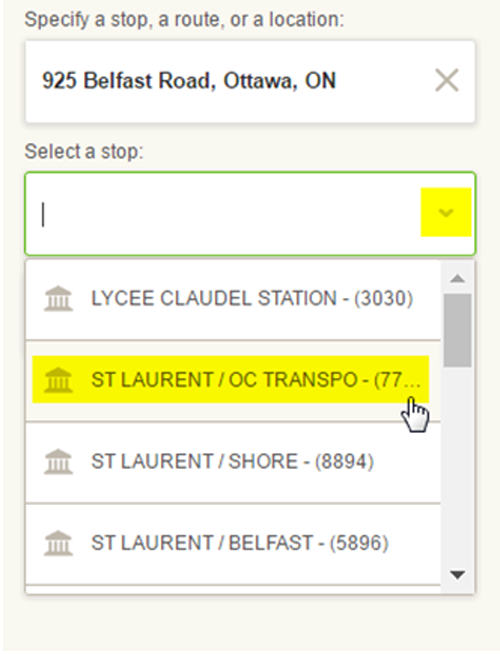 Click on "Show selected stops"
To select a stop, click on the stop name and number cell at the top of the schedule (see example below). 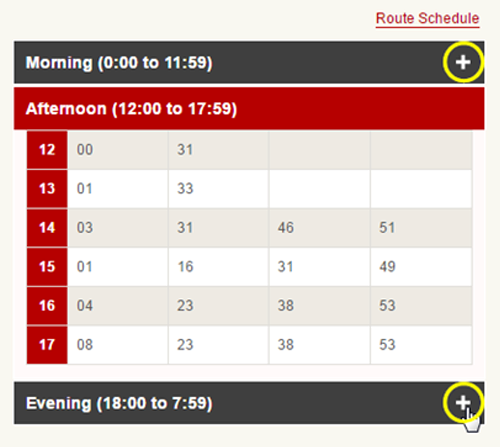 To show and select stops later along the route, click the right arrow on the scroll bar under the passing times. Some stop numbers are also street address numbers so the stop will not necessarily appear first in the list; if this is the case, simply scroll down the list until you find it. 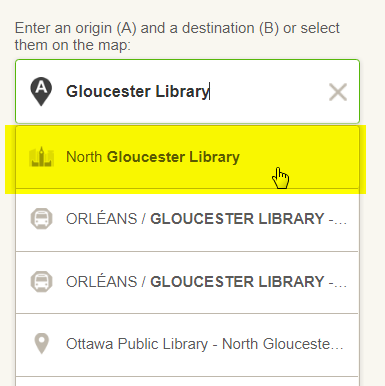 If more than one route serves your stop, you need to choose the route for your schedule. 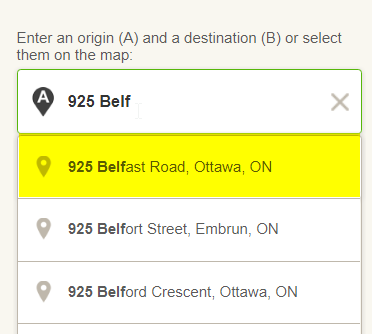 Click the small downward arrow next to the route name and number shown to expand the list of routes (see below). Routes are ordered by number (from smallest to largest). Only routes that run on the chosen day appear in the list. Once you have chosen your route, the schedule will appear. The schedule is broken down by time of day, defaulting to the current time period. To view later or earlier trips, please click on the appropriate period, Morning, Afternoon or Evening. 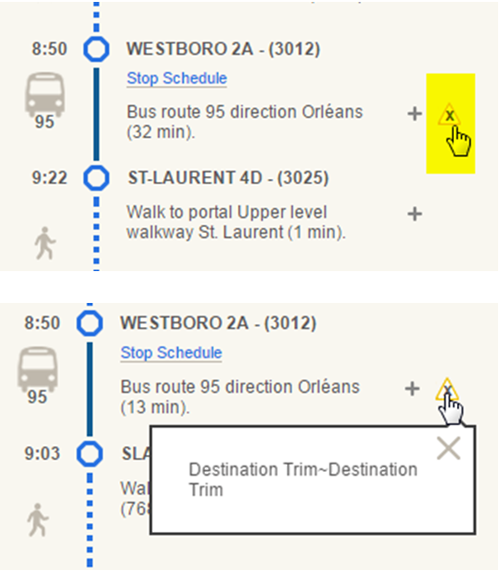 If you see the yellow triangle icon next to the times for your trip, click on one for important service-related notices such as a different trip destination, or detour or routing info. Use this convenient tool to find the next passing times at your stop or station for any (all) routes or for selected routes. In order to save your history, you need to allow cookies. You cannot be in a “private” or “incognito” session either. 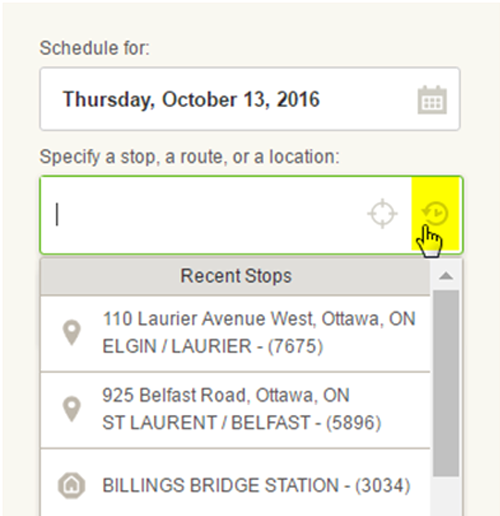 From your “next departure” results screen, click on the downward arrow next to “All routes” to view the routes serving the selected stop. If you feel unsafe let OC Transpo know by calling Transecure or submitting an anonymous online report. For Youth aged 19 and under.